The Back Store Dublin was recently opened by KOS Ergonomic Solutions. Here you can shop for back pain solutions in a relaxed atmosphere. People who suffer from back problems - lower back pain, neck pain can try out very effective back pain relief solutions without obligation. At 3 Clare Street, Dublin 2, it is easily accessible, close to Pearse Street Dart Station, Trinity College and Merrion Square, clients can avail of the opportunity to try out the most suitable back care chairs and ergonomic accessories without obligation. This service is offered on an appointment only basis, as it is essential that full attention is given to each client. 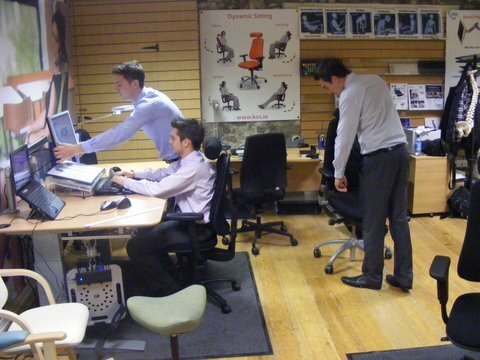 KOS Ergonomic Solutions have been helping people with back pain and repetitive strain injury for more than ten years. Working closely with Irelands leading physiotherapists, ergonomists and healthcare professionals, KOS has provided the most appropriate genuine ergonomic solution to each individual complaint. At KOS we try to tackle all problems whether at home, work, or the car. At our back store and fitting studio, you can see and try our made to measure orthopaedic home chairs, or help your kids develop good posture and ergonomic habits with our ergonomic children’s furniture. Our main expertise is in workplace ergonomics – the ergonomic office, chair ergonomics, desk ergonomics, workstation ergonomics, etc. 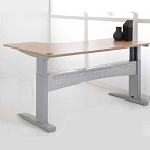 Companies can arrange for their occupational health personnel or any staff members with back pain, or any computer related injury to come to the showroom where their individual situation will be assessed by one of our ergonomic product consultants and we will then explore appropriate solutions. We will be glad to show you how we can help your employees work safely, comfortably and productively again. 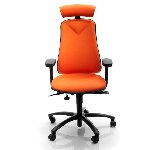 Our staff are DSE/VDU trained and qualified chair assessors. You are most welcome to visit our back store in Dublin 2 and shop for back pain relief. You will be pleasantly surprised at the solutions available for back problems. Back pain does not stop when we leave the office. To help those who suffer back pain in the home, we have recently added the KOS Comfort Fitting Studio to our back store at Holycross along side our Tipperary showroom. Here we can help you find the style and size of chair that is best suited to you – providing made to measure chairs to suit your measurements. Occupational Therapists and Physiotherapists find this very useful. 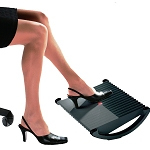 It is ideal for people with back pain or recovering from back surgery. Of course many of our customers are perfectly healthy and active in the 40 plus or 50 plus age group who demand an ergonomic, individually-adjusted easy chair. 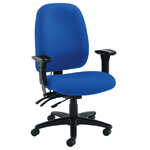 Do make an appointment for an ergonomic consultation in our showrooms where you will be able to try our our range. 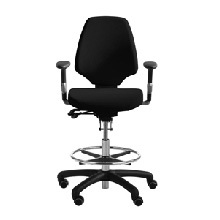 Back Care Chairs, Height Adjustable Desks, Ergonomic Chairs and Production Chairs with support. 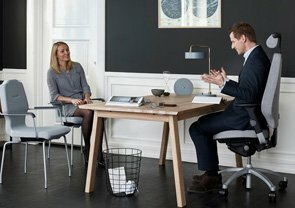 Many health problems associated with your work environment, such as neck pain, shoulder pain, back pain or arm pain, fatigue and eyestrain, can be prevented and relieved by using good quality ergonomic office products that will support your body as you work, encourage good posture and reduce muscle strain. 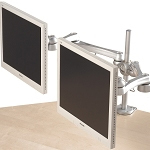 Monitor Arms, Ergonomic Mice & Keyboards, Ergonomic Desk Accessories and Adjustable Footrests. KOS Ergonomic Solutions is committed to providing only the best and most effective lines, to help make your workplace a safer and more productive environment. Please contact us regarding any query you might have and we will endeavour to come up with a solution suited to your particular needs. Our Tipperary studio is located in Holycross, Thurles, Co Tipperary. Just off the M8 at Horse & Jockey, Cashel or Two Mile Borris. Shopping for back pain relief - you will be pleasantly surprised at the solutions available for back problems.